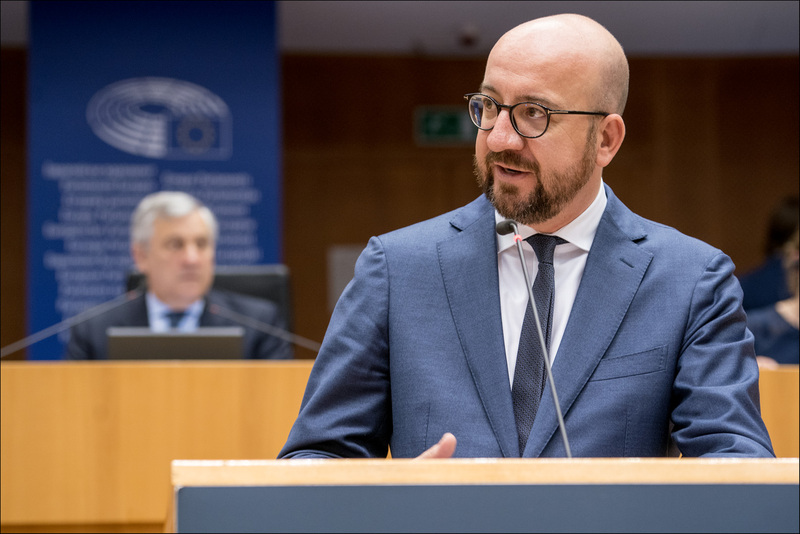 Belgium’s Prime Minister Charles Michel debated the future of Europe with MEPs and and EU Commission President Jean-Claude Juncker on Thursday. "I want a strong Europe that acts where it can add real value", he said, calling on the EU to "persuade with an ideal and concrete results". To this end, "European, national, regional and local democracies must complement and reinforce each other". Mr Michel listed three imperatives: fostering prosperity, delivering security and protecting fundamental values. “Putting our public finances in order, delivering economic and social reforms, taking security measures and promoting peace are an endless battle to serve the European ideal and European citizens, he stressed, calling for a "culture of results” and efforts to ”release the exceptional potential of our continent”. The EU “can be the motor of a reinvigorated multilateralism that takes the great challenges facing humanity: peace and security, development and global warming”, he added. Welcoming the Prime Minister, Parliament’s President Antonio Tajani stressed the importance of these debates with European leaders, which ”enable us to look ahead at what we can do together: member states, Commission and European Parliament. Some of Parliament’s group leaders praised Mr Michel’s commitment to a strong Europe that delivers added value to citizens, referring to the city of Brussels not only as the capital of Belgium, but also as the heart of Europe. Others used the country’s war-torn past to explain why the Belgian people have developed a “passion” for the European project, and cited Belgium’s federal structure as evidence that a strong Europe not only needs strong nations, but also prosperous regions. Finally, MEPs stressed the need for more European solutions to combat tax evasion, strengthen EU’s external borders and boost European defence. The next European head of government to discuss the future of Europe with MEPs will be Xavier Bettel, Prime minister of Luxembourg, on 30 May in Strasbourg.